I like the very last tag that Emily puts on this impromptu blues. It is a different sound when you slide into notes rather than bending. 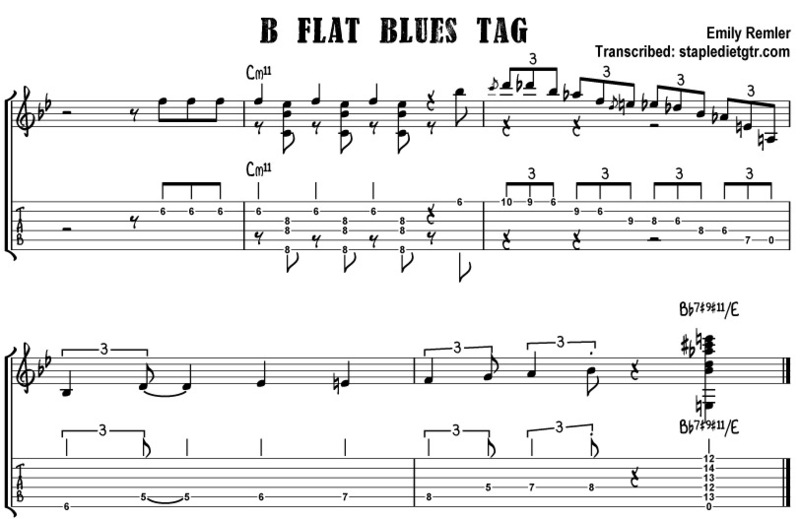 A very traditional ”jazz blues” sounding approach. Of course heavy guage strings leaves you with little choice in the matter. Especially a wound G string! 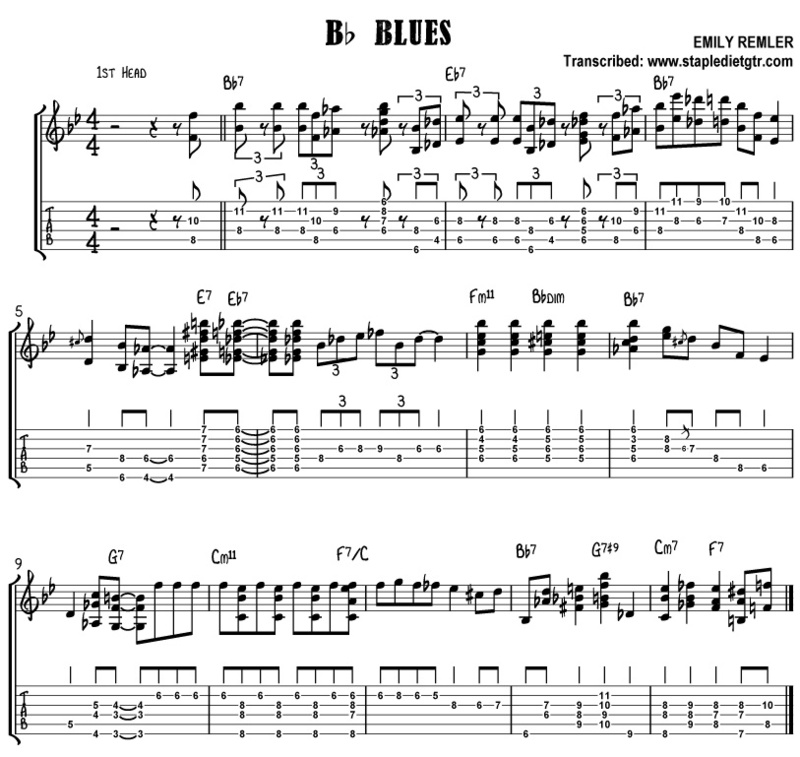 The descending line in the 3rd bar is made of notes straight out the Bb blues scale, with the exception of the first slide into the major 3rd of the chord. (D) The ascending line in the last two bars is a cliche phrase. An oldie but a goodie. If you listen to the audio clip you can hear a little skip between the D and the Eb where she pulls off very subtly to the A open string. This little rhythmic jump is a nice touch.